Jacques Ludik, president and founder of the Machine Intelligence Institute of Africa, and CEO and founder of Cortex Logic. Organisations across the board can thrive in the smart technology era, and lower the probability of being disrupted by competitors on multiple fronts. Register now to attend Meeting of Minds: ITWeb Artificial Intelligence 2018 at The Forum, Bryanston on 1 and 2 August. For the agenda, click here. Jacques Ludik will join other industry leaders in discussing their experience of the best practices for artificial intelligence, machine learning, IOT and robotics. Moreover, implementing end-to-end artificial intelligence (AI) solutions can lead to myriad business benefits, including increased productivity and revenue, lowered risk and costs, and enhanced customer experience. 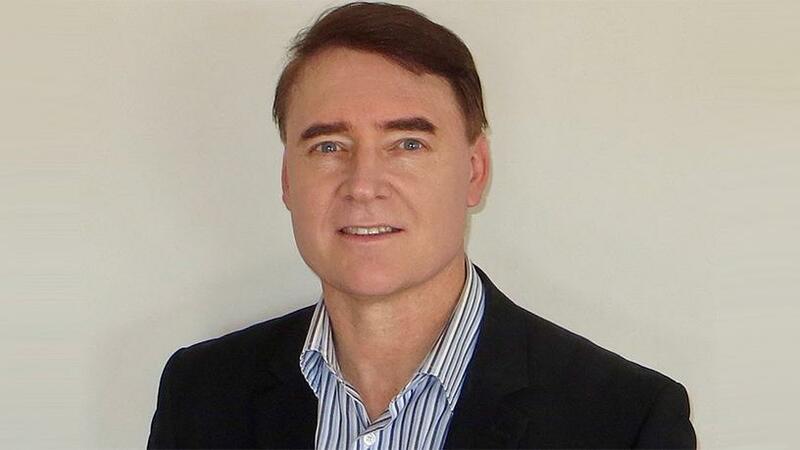 So says Jacques Ludik, president and founder of the Machine Intelligence Institute of Africa, and CEO and founder of Cortex Logic, who will present on "Solving strategic and operationally relevant problems through operationalising AI, data science, IOT and big data and analytics", at Meeting of Minds: ITWeb Artificial Intelligence 2018, to be held at The Forum in Bryanston, on 1 and 2 August. "Properly implemented AI-based solutions address business value drivers that lead to an optimised business, a satisfied, growing customer base, productive employees and smart systems, which in turn help accelerate decision-making, innovation, collaboration and growth," he adds. In addition, smart technologies help businesses that are dissatisfied with their speed or inability to unlock value from big data, IOT and data science, allowing them to tap into state-of-the-art AI to solve strategic and operationally relevant problems. Speaking of where businesses are going wrong when it comes to harnessing these technologies, Ludik says many businesses don't have a practical big data and analytics, IOT and AI roadmap, and they don't appear to measure return on smart technology solutions. Businesses are typically not focused on implementing end-to-end smart technology solutions, and have divisions that operate in silos, meaning that all of the data available to the company isn't being harnessed, he says. "Also, many businesses don't have a solid, scalable data infrastructure and smart data layers." Another problem, he says, is that organisations typically struggle when it comes to attracting top talent as well as cultivating the best possible environment for that talent. Too many organisations, he says, when implementing AI solutions, only do so in a narrow way, such as only offline and not having automated AI which is integrated into the business. "They are not focused on end-to-end full-stack, integrated, scalable and secure solutions, and are not using state-of-the-art AI." Also, they are not adaptable and agile, and don't use all available structured and unstructured data. They are not using an automated champion-challenger approach, and are not collaborating with AI/smart technology partners that can help them to accelerate the operationalisation of smart technology solutions. Delegates attending Ludik's talk will discover how end-to-end AI solutions can unlock value from all available structured and unstructured data to increase operational efficiency, effectiveness and revenue, and create strategic value via faster, better and more proactive decisions, enhanced scalability, new business models and revenue growth opportunities. They will also learn how these solutions can enhance customer experience via real-time, on demand, digital, personalised service delivery, assistance and advice which is enabled via 360-degree insights about the customer, and enable more targeted sales and marketing. Ludik will also discuss specific solutions and their applications, including strategic business transformation, intelligent virtual assistants, robo-advisors, process optimisation, predictive maintenance, fraud detection, churn prediction, advanced risk scoring, cyber security, medical risk prediction, precision medicine and many more. Finally, he will discuss working collaboratively with innovative AI partners, and how that can help companies thrive in the smart technology era and be agile, innovative and adapt quickly to remain relevant given the swift pace of change, and disruption to business and society.